I first mentioned Red Christmas back in April of this year and now I have gotten the opportunity to watch it for review. It is an Australian Christmas themed slasher and so from the off it is doing something different. While it is filmed well and full of brutal kills for me the tone was a little too bleak. Diane (Dee Wallace from Critters, The Hills Have Eyes) has invited all her family together to stay at her outback home to celebrate Christmas. However the arrival of a mentally and physically disabled stranger named Cletus (Sam Campbell) brings death and destruction as he is obsessed with the idea that Diane is his mother, and that if she won't accept him then he will take everyone she loves away from her. Red Christmas starts well with the introduction of all the family members and the vast dysfunction that exists between them, which is all displayed in a blackly comic way. Diane just wants a family get together but most the group don't get on well with each other. You have prudish Ginny and her vicar husband Peter (David Collins), then you have heavily pregnant Suzy with her husband Scott as well as third daughter Hope, Diane's Down Syndrome afflicted son Jerry, and finally her partner the care-free Joe. 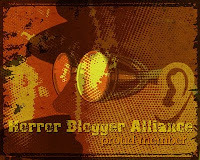 The arrival of the stranger brings an end to this introduction stage and unfortunately it is from this point that the plot goes downhill slightly. The actual dialogues between the characters are always good, it is more that what happens is then an excuse for mayhem. The majority of the film is the group constantly splitting up to do inane plans to help them survive, whether it be going off to get the keys to a car, going off to try and rip down the climbable terraces attached to the house, or just going off. I get it is a dysfunctional family but when the majority of bad things happen due to characters refusing to follow instructions it becomes a bit farcical, especially with the amount of running around and screaming everyone does. It is a good thing the family are so blind to logic though as it sets up plenty of kills, some of which are brilliant to see, and some which are more traditional. Along the way someone gets their head caught in a bear trap, someone else gets chopped in half vertically, death by umbrella, and perhaps my favourite one when someone gets pushed onto a blender which results in torrents of blood spraying out of their eye sockets! There is a high body count here and no two deaths are exactly the same. The special effects for these deaths are all satisfying with none that looked obviously fake. The majority of the film is Cletus stalking the family, but he is ghost like in that he reappears and disappears both inside and outside the house in classic slasher fashion. This led to a lot of screaming and a lot of stupid plans. With most the film taking place at night I did struggle to make out what was happening at many points, it doesn't help that Cletus is covered in a huge black shawl that while it makes him resemble the grim reaper, it also makes him hard to see in the darkness. Even inside the house it is nearly always dark, the only illumination coming from the numerous Christmas lights dotted around the property that gave different rooms different lighting. This created a good aesthetic of red, blue and green lit areas rather than traditionally lit rooms but I did yearn for some proper lighting. Abortion is a big theme in Red Christmas but there isn't really a stance made on whether it is a good thing or not. Diane is painted as just as much responsible as the abortion survivor Cletus in that he is just looking for his mother who abandoned him, though her reasons were right for her at the time. Cletus is also afflicted with Down Syndrome but this is not made fun of, instead it makes him slightly sympathetic in a way. On the victim side of things Wallace is the strongest of the bunch trying to instill order over the pure chaos, I also liked what Collins brought to his role as Peter, what I thought would be a wet blanket actually impressed me with the slight character arc he goes through. Jerry was another stand out character, you don't often see Down Syndrome actors and his turn as the Shakespeare obsessed son was pretty great, led to some strong moments with the interactions between him, Wallace, and even with Cletus, his role added more to the film than any of the sisters. While Red Christmas was a good slasher, for me it was all a bit high action all the time with no real amounts of down time to give some breathing space. I didn't like the shaky cam that occurred during the most chaotic moments of this, and I didn't like how bleak the mostly straight story ends up being, but I can't deny there are some fun and inventive death scenes here. 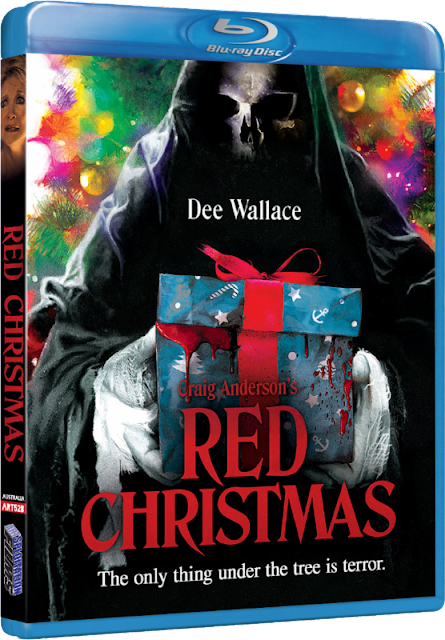 Red Christmas is available nationwide from October 17th on Blu-ray, DVD, and VOD thanks to the guys at Artsploitation Films.